Home Faith Bible Trust in God or in human strength? 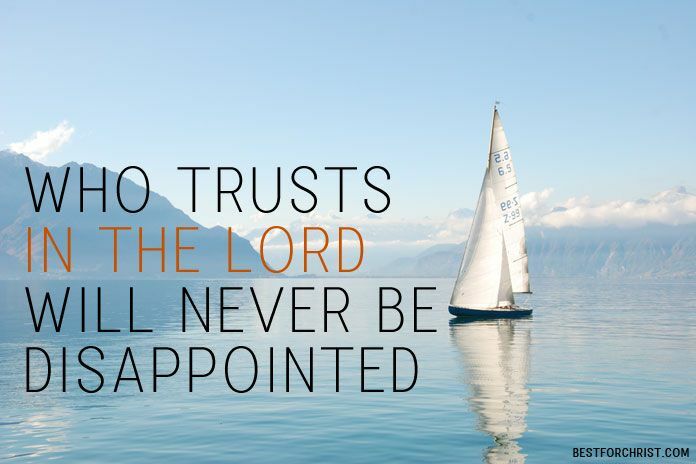 Sometimes we face a question – trust in God or in human strength. The answer to this question could be the Bible story when the shepherd boy David killed the giant Goliath with a single pebble and a sword. Why is it that David, as king, had to count his army decades later, to be sure that he could face the enemy? David is one of the great heroes of the Bible. We all see him before us, the little shepherd boy, walking with nothing but a shepherd’s staff and a slingshot on the giant Goliath, shouting: “ You come to me with a sword and with a spear and with a javelin, but I come to you in the name of the Lord of hosts, the God of the armies of Israel, whom you have defied. […] And that all this assembly may know that the Lord saves not with sword and spear. For the battle is the Lord’s, and he will give you into our hand. “ (1 Samuel 17:45-47). Said, done. With a small stone – and God’s great power – he knocked the giant unconscious and killed him afterward with his sword. David suddenly confused numbers with power. Forgotten is the defenseless shepherd boy in front of the giant Goliath. David no longer relies on the power of God, but on the power of men, though his military leaders themselves advise against it. For almost ten months, they travel the country and count the people. The result: 800,000 able-bodied men. What a number! And with that, David only says one thing to his people: “Do not worry, people. We can do it without God, the numbers are right.“ In other words, it’s David’s unbelief that seduces him to the census! And this unbelief would cost his people dearly. Sorry – but too late! Nevertheless, 70,000 people die from the plague in the three days. Only when the illness reaches the gates of Jerusalem does God have pity. And in the end, he answers David’s prayer and puts an end to the plague. Now the phrase that God said to Paul suddenly makes more sense: “My grace is sufficient for you, for my power is made perfect in weakness ” (2 Corinthians 12:9) When we have little, when our resources are gone, and we are finished, all we have left is to trust in God – and we have great miracles with him. But what if I still have resources in reserve? If the numbers are correct? Did I count my “army” when the money is tight at the end of the month? If a significant problem arises within the family, do I trust the wisdom of my partner or the wisdom of God? Who or what do I ultimately trust? Hope you will find the right answer – always trust in God.